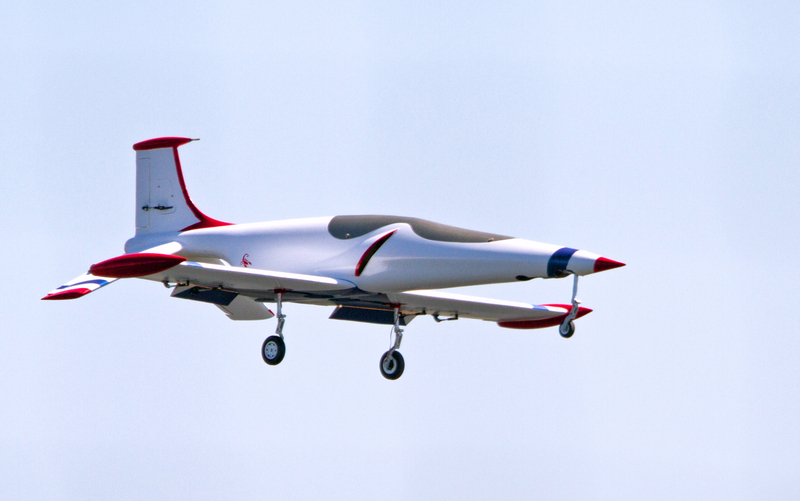 Teams responded to a Statement of Work for a remotely piloted sport jet and trainer designed around an unmodified Kingtech K45 turbine engine. Wingspan but be equal to or less than 53" to allow shipping. Minumum dry weight of the trainer configuration must be 12 lb. Teams must submit a cost bid for building 100 aircraft and compete in aerobatic performances in a competition in the style of the France Air Show, while simultaneously running a static display of the aircraft. Design objectives were to optimize ease of operation, pylon racing ability, max/min airspeed ratio, max airspeed, short takeoff and landing, along with several others. wing area = 556 sq. in. max width = 5 in. Consisting of 14 students, OSU Orange Team was led by a Chief Engineer and divided into four subgroups: Computer Aided Design (CAD), Aerodynamics, Structures, and Propulsion. Orange Team took first place at Speedfest 2016 with a total of 87/100 points against Black Team's 69/100. 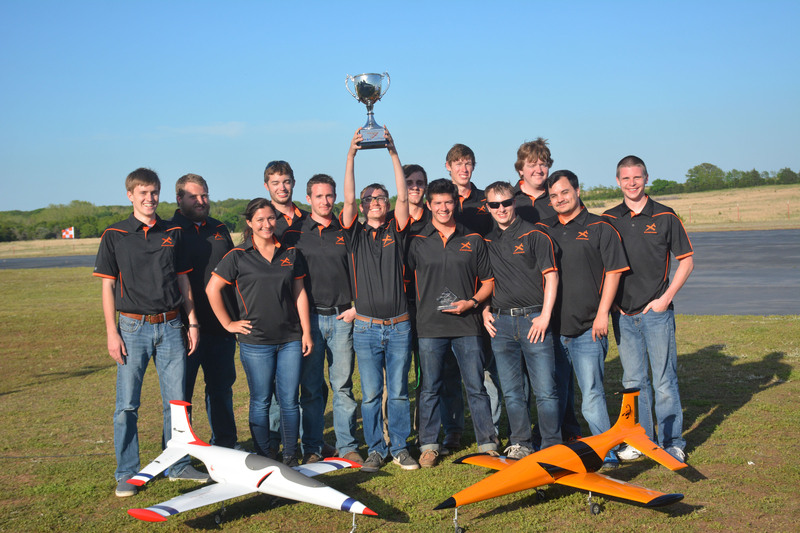 Orange Team won every objective except precision aerobatics and static display.